New Delhi: Jammu and Kashmir Chief Minister Mehbooba Mufti is expected to meet Prime Minister Narendra Modi on Friday to discuss the Article 35-A of the Constitution, which has suddenly been called to question in the Supreme Court. The article, which bars outsiders from owning property in the state, is considered one of the fundamental measures that contribute to the special status of Jammu and Kashmir and the petition in Supreme Court is seen in the state as a threat to it. Ms Mufti, who has met all the stakeholders in the state to ensure they were on the same page, met Union Home Minister Rajnath Singh on Thursday to question him on the Centre's stance on the issue. Sources said the minister had explained that since the issue was procedural and not substantive, the Attorney General will "present the legal position as it prevails in the constitution". The plea says Article 35A discriminates against women of the state, who lose their right to own property in the state if they marry a "non-resident". Men from the state can own property irrespective of whom they marry. The petition in the Supreme Cour, focuses on procedure, so the Attorney General will take a stance as enumerated in the Constitution, the source said. The Chief Minister's anxiety stems from the diametrically opposite view of alliance partner BJP on the rule. The BJP has long maintained that Article 35-A is discriminatory in nature and should be scrapped. The people of the state feel that any tampering with the law will have a direct effect on the demography of the state. The divergent views of the two ruling partners have exposed the deep fault-lines within the alliance yet again. 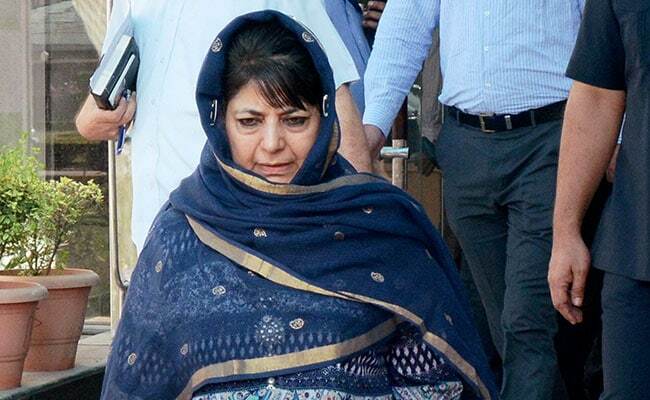 Sources said during her meeting with the Prime Minister, Ms Mufti is expected to raise concerns that it be handled sensitively so that it does not become a state versus Centre issue. The Supreme Court has also asked the Centre to respond to another plea that challenges the validity of Article 370 of the Constitution, which grants Jammu and Kashmir its autonomous status. The agitation against both issues has travelled beyond the mainstream in Kashmir Valley. Separatists have called for a shutdown on August 12 to register their protest.